Within the U.S., most chemical safety requirements are imposed by the Occupational Safety and Health Administration OSHA) and the Environmental Protection Agency (EPA). For example, OSHA (or delegated state agencies) administers a Process Safety Management (PSM) Standard, while EPA (or delegated state agencies) administers the Accidental Release Prevention (ARP) regulation. In addition to these sets of regulators, however, Congress has created a national agency to conduct independent investigations of major chemical accidents, and to issue accident-specific findings and specific or general recommendations for improved chemical handling and regulation. This agency’s formal name is the Chemical Safety and Hazard Investigation Board—which usually refers to itself as the Chemical Safety Board or CSB. What Enhancements to PSM Does CSB Recommend? Criteria such as industry sector (e.g., as indicated by the North American Industry Classification System (NAICS)), a reactive hazard classification system (e.g., based on heat of reaction or toxic gas evolution), incident history, or catastrophic potential. More extensive reviews of technical literature, reports and guidance by facilities. 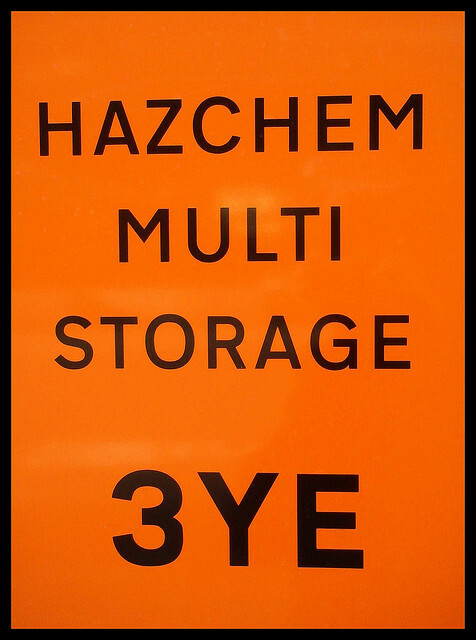 Explicit review of reactive hazards, such as rates of heat or gas generation, thermal stability of reactants, and incident progressions (e.g., runaway reactions). Management of change (MOC) review for organizational changes that may impact process safety. Systematic analysis and documentation of all major hazards and safeguards, using the hierarchy of controls to reduce those risks to as low as reasonably practicable (ALARP). Documented use of recognized methodologies, rationales and conclusions to support claims that safeguards intended to control hazards will be effective. Documented damage mechanism hazard review conducted by a diverse team of qualified personnel. Documented use of inherently safer systems analysis and the hierarchy of controls to the greatest extent feasible in establishing safeguards for identified process hazards, to drive the risk of major accidents to As Low As Reasonably Practicable (ALARP). Assurance that the regulator (OSHA or state) is technically competent with adequate resources, conducts ongoing monitoring of regulated facilities and industries (including leading and lagging indicators of safety risks) to support continuous improvement in PSM activities, and conducts appropriate audits and inspections. What Enhancements to ARP Does CSB Recommend? Add explicit coverage of catastrophic reactive hazards (i.e., in addition to toxic and flammable hazards). Require inherently safer systems analysis and a hierarchy of controls when facilities establish safeguards for identified process hazards. What Coordination Between Occupational Safety and Environmental Protection Regulators Does CSB Recommend? CSB has recommended that EPA and OSHA, and their state counterparts, coordinate PSM and ARP regulatory activities to maximize the benefits of both. Readers should note that President Obama’s Executive Order and subsequent federal activities include these efforts. I’ve blogged about the Executive Order here, and about a report by an interagency task force coordinating these responses here. Do any of my organization’s facilities manage chemicals subject to PSM or ARP? Does any facility manage reactive chemicals that pose analogous accident hazards? Has the organization developed organizational-level and/or facility-level programs for chemical risk assessment and handling consistent with requirements of PSM and/or ARP requirements? Is the organization participating in review and reform activities being undertaken by the implementing agency (or at least tracking them)?